Tune in Tuesday for the start of Totally Twilight! A month of Twilight related posts in honor of the release of Breaking Dawn Part 1 on November 18. *I'm about 50 pages in. It's cute so far. *I picked this up randomly at a gift shop. Ten minutes later I had tears streaming down my cheeks and was reading every entry to my husband - barely able to get through them because I was laughing so much. Q: What is Sir Francis Drake known for? A: Sir Francis Drake circumcised the world with a 100 foot clipper. Q. What was the main industry in Persia? great books this week1 I really want to read There You'll Find Me - hope you enjoy! F in Exams sounds like a lot of fun! 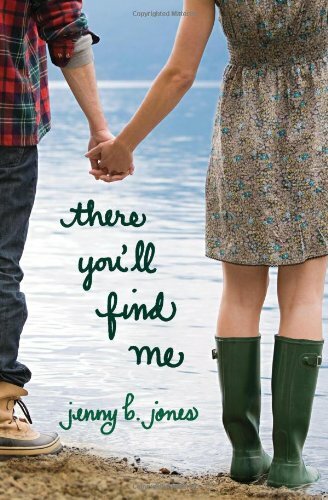 There You'll Find Me looks like a fun romance. I hadn't heard of The Sharp Time before. I hope you enjoy all of these! Haven't heard of these, hope you enjoy them all! Wow. Drake circumcised the world did he? That must have taken some time:) I really want you to post more of these, they're hilarious! Looking forward to seeing what you think of There You'll Find Me, I really want to read that one! Nice Haul! I could probably write one of those F in Exams books. Mine would be called excuses to tell your Undergrad Advisor when you fail out for the semester. F in Exams sounds hilarious...love those type of books! It's always great to get a free laugh! F in Exams sounds like my kind of book. Will look out for that book here. Last time I had that experience with a book (literally laughing aloud with tears streaming down my cheeks) was around a month ago while I was reading Roald Dahl's Vicar of Nibbleswicke. I'm in for that kind of satisfying read. Haha. F in Exams sounds really funny! Hope you enjoy your new reads. Great books!I've heard of F in Exams before but never actually read it! Amazing haul this week, Alison! Hahaha Those test answers are HILARIOUS!! I may need to find this book now. :) Great set! Hope you enjoy!! These books all sound great. There You'll Find Me does look cute. Enjoy your books & Happy Halloween! OMG! F In Exams sounds hilarious! I'll have to get a copy. Thanks for the snippets! I've heard good things about THERE YOU'LL FIND ME. Pretty cover too! Great selection of books. Come visit me over at Livre De Amour-Books of Love Blog. HAHA that F in Exams book sounds totally Hilarious! The exam book sounds so funny! Great answers! Please share some more!! I've heard about There You'll Find Me. Can't wait for the reviews. Picked up the Totally Twilight Button. Will be enjoying those posts! These are new to me. I hope you enjoy them all! The sharp Times sounds really good I love the cover! Great haul! OK, I've got to get a copy of F in Exams. I'm a teacher, so I've read some pretty shocking answers and it'd be nice to compare. I read THERE YOU'LL SEE FIND ME if you want to see my review for it. I loved it. Ooh. F in Exams sounds good. I'll have to remember that. HAHAHA, I've always enjoyed those email forward with amusing answers found on kids' tests (best one ever was the answer for a circle circumference/diameter question being "the deathly hallows") and I am SO adding F in Exams to my TBR list. Thanks for stopping by Book Cover Justice!!! I have there you'll find me from NetGalley as well and I am excited to start it! Looking forward to your review. "F in Exams sounds hilarious... I've heard of a similar book before, or maybe it was the same one. It definitely sounds like a riot. "There You'll Find Me" was pretty cute, I did enjoy it. F in Exams sounds hilarious!Will have to keep an eye out for that. LOLOL I love to read F in Exams!!! I sure will hunt this in the bookstore. 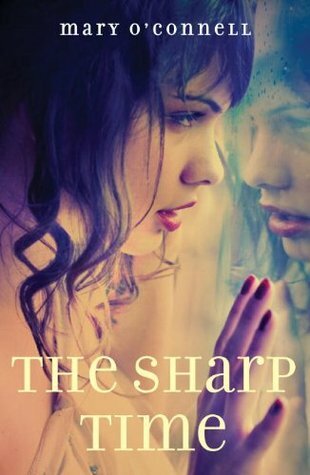 Oh great books, especially The Sharp Time!